Increasing Demand for Nylon 6 to Drive Growth of Caprolactam Market in the Years to Come | Merchant Research & Consulting, Ltd. The global caprolactam market demonstrated sustainable growth in 2005-2007. However, the recession of 2008-2009 hit the market and the growth slowed down, while the production declined to a certain extent. However, the situation improved in 2010. In 2010, the global output was over 4.4 million tonnes (up by 230,000 tonnes from 2009) and it amounted to 4.7 million tonnes in 2013. Region-wise, Europe and Asia-Pacific are the most prominent caprolactam producers, with the caprolactam output almost reaching 2 million tonnes in each region in 2013. China, the USA and Belgium are leaders among countries in terms of the caprolactam production, with their total output estimated at more than 2.6 million tonnes in total in 2013. Asia-Pacific holds the largest caprolactam capacity, with Europe and North America also having large capacities. 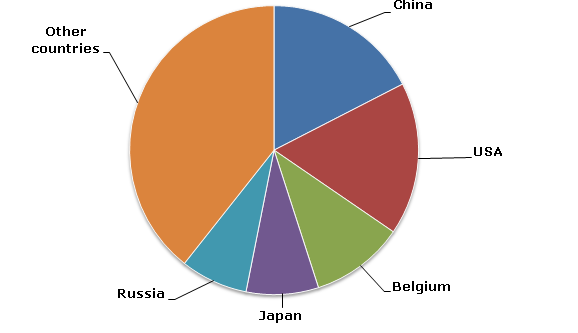 Country-wise, China, the USA, Belgium, Taiwan and Russia have the largest capacities. In 2012, the global caprolactam consumption was estimated at over 4.5 million tonnes. It grew by approximately 3 percent in 2013, while Asia-Pacific and North America were the key consumers in the same year. With caprolactam being mainly used as a raw material for nylon 6, the caprolactam market primarily depends on the demand for nylon 6. Currently, an increase in the caprolactam demand from automobile as well as engineering applications is a key force driving growth of the market. Besides, rapid economic growth in Asia-Pacific contributes to the market growth. However, price volatility of raw materials is expected to become the main challenge of the market growth in the upcoming years. The global caprolactam production is expected to grow by over 2.9 percent in the years to come. In 2017, the global output is forecast to hit the 5.3 million tonnes mark. More information on the caprolactam market can be found in the research study “Caprolactam (CPL): 2015 World Market Outlook and Forecast up to 2019”.